It’s official, we’ve survived winter and we’re well into spring now. Although you probably got a lot less snow than you’re used to this year, chances are, your trees weren’t the first thing on your mind throughout the season unless they were overburdened by snow. 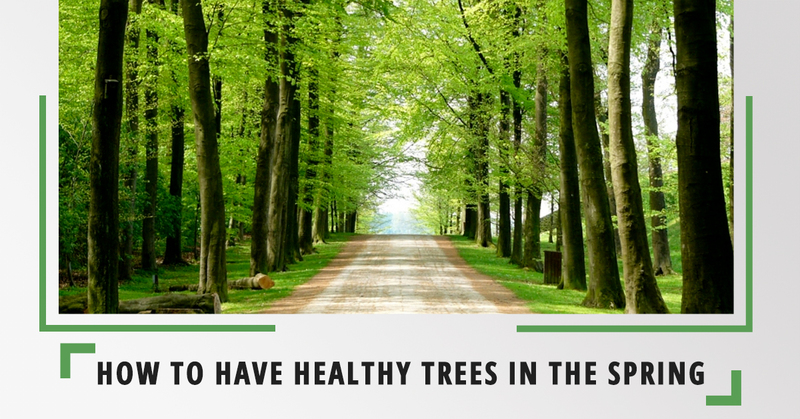 Now that spring has rolled around and we can be fairly certain we aren’t getting any more major snowstorms, it’s time to start thinking about what you can do to get your trees back in shape and ready for summer. If you have any questions or you’d like to speak with a certified arborist, don’t hesitate to contact Cedar Mountain Tree & Lawn Care. We are your Top Rated Local® Tree Care company in South Central Wyoming. Now that the weather has warmed up a bit, it’s the perfect time to start inspecting your trees for damage. The problem with late winter months is that the snow is wet, heavy, and melts a lot quicker due to temperature changes. What this means for your lawn and trees is that they’re more prone to damage during this time as branches fall off your trees and water pools up in areas you don’t expect it to. Take a look at your lawn and trees to make sure there aren’t any serious threats or damage. Pruning is one of the most important things you can do for your trees. Since spring is such a great time for your trees to grow and recover from winter, you’re going to want them to be completely free of dead branches. Not only do dead branches weight down on your trees, but the high wind that’s so common in South Central Wyoming will only do more damage to your trees if the dead branches stay on. Hopefully, you had your irrigation system shut off for the winter if you live in South Central Wyoming. But now that spring has sprung, you may want to take the time to go out and water your trees. Many homeowners will get so caught up in watering and maintaining their lawn that they forget about their trees. If your trees aren’t getting enough water, they’ll start looking wilted and dried up. Microorganisms recycle leaves and twigs on the ground that are used by your tree as nutrients. But, if any of these nutrients are diseased or have bacteria, they could end up destroying your trees as well. It’s a good idea to rake up the dead leaves and twigs, replacing it with mulch that contains a lot of the nutrients your trees need to stay healthy. Another thing that will help your tree get the nutrients it needs is fertilizer. But don’t just start pumping as many chemicals you can find into your trees, you need to find the right fertilizer for your trees so that there isn’t any collateral damage. Your first course of action should be to contact a certified arborist in your area who will tell you the type of trees you have and determine the best kind of fertilizer to use for your situation. When it comes time to start caring for your trees after a long winter, you can’t do it alone. Cedar Mountain Tree & Lawn Care is your Top Rated Local® Tree Care company in South Central Wyoming. We have a reputation for high-quality tree services that are guaranteed to be the best in the industry, and at the fairest prices possible. This is what sets us apart from others in the industry. If you have any questions or you’re ready to get started, call us today.